Nintendo announced today that Monster Hunter® Tri will indeed be bundled with the Classic Controller Pro and priced at $59.99. The new Classic Controller Pro includes a second row of shoulder buttons and ergonomically friendly grips. The Classic Controller Pro plugs directly into the Wii Remote™ controller, and until now, has been available only in the Japanese market. 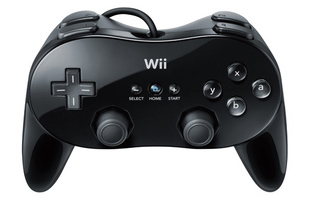 The Classic Controller Pro will be compatible with more than 450 Wii, WiiWare™ and Virtual Console™ games. The Classic Controller Pro bundled with Monster Hunter Tri will be black, while both black and white versions of the controller will also be available separately at a suggested retail price of $19.99. The game will also be available without a controller at a suggested retail price of $49.99. For full press release click here. The hunt begins this April.